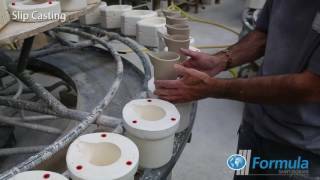 Saint-Gobain Formula supplies plaster solutions for the manufacture of ceramic tableware. Our ranges are suitable for different applications, including slip casting and jiggering. We are available to provide expert support on mould making.